Happy trails, little cowboy dudes. Stay proud of your heritage and pass it on to your own kids. May you never emulate others whose customs are broadcast by the mediocrity that is mainstream media or pc governments. Godspeed. That top one is too cute! Great shots. What an adorable expression on the first boy's face, no less his pose. Scott, you have captured him! The curiosity shows on the second boy's face. Their western gear is awesome. Wow he looks so cute and so interested, I didn't know that they were educated for this life so early! Love the first boy's smile! Ahhh, clothes to play and laugh in !! Thank you so much for this series. I grew up on a ranch in Montana. I have never seen my Dad in anything but a pair of Wranglers, a well-cut shirt, a silk scarf, a custom made hat and handmade boots. Cowboys are very conscious of what they wear and most take pride in it, both for its peculiar beauty and for its very specific practicality. Such details as the gloves slung through the chaps, the work hardened hands and the joy of being physical make me very homesick. Thanks again. i adore kids because i've a 15 month old son. 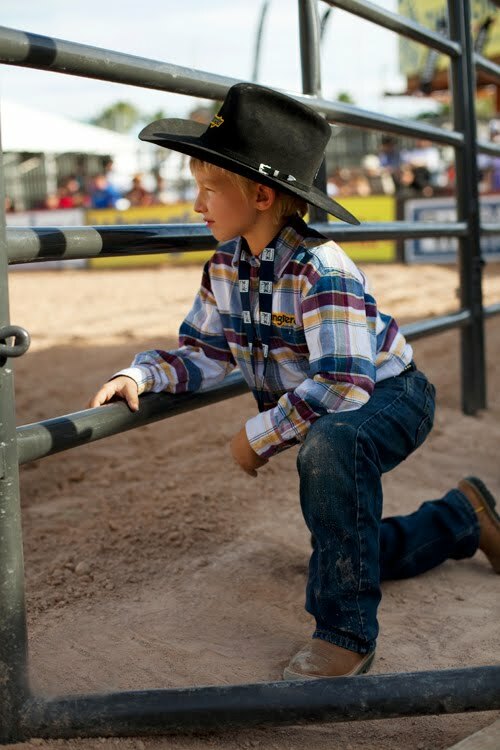 these photos made me smile and reminds me when i dressed up my son like a lil' cowboy too. I have a thing for cowboys! The kids are super cute!!! I love all your pictures of kids. Theire're great. I also grew up on a ranch in Montana and would see lots of little boys (including my brothers) and grown men dressed like this. So great to see it on a the Sartorialist! These are beautiful shots, especially the first one. Thanks so much for sharing these – they are adorable and such confidant little guys! The top photo may be the cutest I've seen all day! Cute pics, and I miss Vegas! Awww, the photos of the kids are great! They are going to make great grown cowboys some day! Aren't those little men just terribly handsome!! hey thanks for changing up the types of subject. love it! wow th first is so so so cute!!!!!! These little guys are men decades before most. 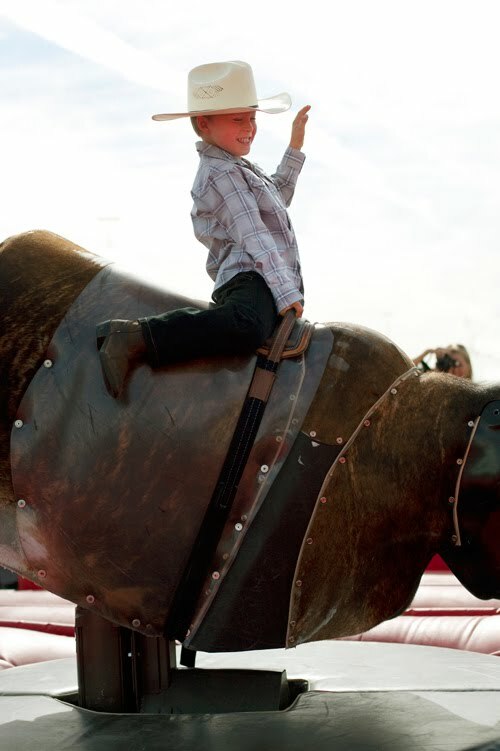 I love these posts of "cow-boys" you've made with Garance…. Very inspiring and very interresting! I love this series you're doing on ranch clothing. It's so unexpected and unpretentious – a breath of fresh air. I really love the print on the second boy's shirt, very bold! I love how their confidence shows–it makes the outfit. sigh. deja vu, much? as much as I love you, and as cute as the little boys are.. why do we have to reiterate this cowboy theme everyday, dear sart? I think the whole cowboy theme is really wack. I am so sorry. I love everything about your site, but the cowboys are killing it. Oh my! he really do know how to act like a real cowboy! He looked good at his outfit anyway. Are we almost done with the cowboys? O.O The second boy reminds me of Anderson Cooper. Great shots! Those kids look like they are having fun! I really like your cowboy series. So genuine. Thank you for the cowboy posts. I have lived in the inter-mountain west my entire life and come from a long line of Ranchers. Western wear is a huge part of American Culture and should be celebrated and respected. For those who think that Western Wear has no place on the Sartorialist blog the should do their homework and discover the fine craftsmanship that goes into the well cut shirts, custom hats, hand made leather boots and metal work. The premium price paid for these incredible goods can rival the tags of any fifth ave shop. Marvelous! You should leave your comfort zone more often.